The important question is, did they charge you to tell you the choke was on or did they let you save face and not tell you that was the issue? He just said it runs fine for us. Come get it. Didn't charge anything. 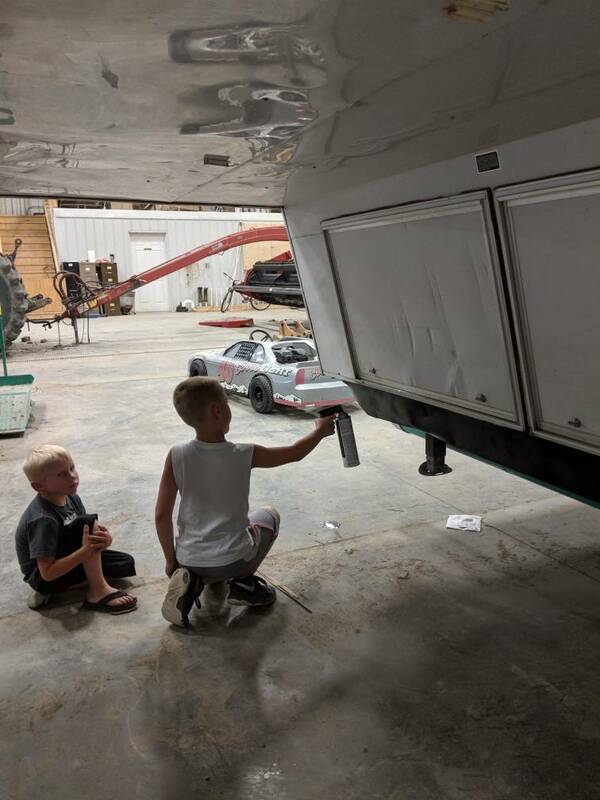 He said when I get the wiring done and plug in the camper to run it under a load bring it back in and they will make sure its running at the proper rpm. I just got the quote to fix my air conditioner. its going to be in the $4,000 area. I need everything from the condenser to the evaporator coils. except the compressor. I told him if we are changing everything else just as well do that too. It did squeak a little it. I looked at him and said Well I guess I should have bought a Volvo. He sad No they are ALL junk. (Meaning all trucks are junk no matter the brand). I'm going to have more in this truck than I expected but in the long run I feel its still worth it. Starting to get a little discouraged but that's the way it goes I guess. I haven't had the truck at home for a while. I took it to get the generator fixed. Then the A/C in the truck. After that I got it to the electrician to wire up the generator. Back to the truck shop because A/C quit again. Then back to the small engine guy because the generator still ran like crap. This time he changed points and condesor. I think he got it this time. It sounds pretty good. We are leaving on our first trip in one week. Essentially everything is ready to roll but I have a bunch of odds and ends to do. Mainly cosmetic. Like paint the camper frame. Wishing you and your family a great trip and hope all your work pays off for a trouble free adventure! Have a safe trip. Update is along the way. I think I have everything ready to go for now. Today is generator test day. I am going to fire it up and crank down the A/c I the camper and let it run all day. I should have done it sooner. I want to have the guys around so there is more than one set of eyes on it. Just in case something goes wrong. I was not optimistic but everything performed as it should. Nice and quiet. A couple more odds and ends and we are ready to go. Enjoy your trip Jon. Sounds like you got her squared away just in time. Just pulled into little farm RV resort in South eastern Indiana. Bet you got lots of attention! We went to the desert once with our motorcycles and trucks on a flatbed. Got home last night. Averaged 9 mpg. I have to make some changes but over all really happy with the truck. This is the way to go. I will never pull that 5th wheel with my pickup again. Unless we are just going to a local campground. Never once had to worry if I was going to be able to get stopped. Never slowed down on a hill. Glad you made it home safe and enjoyed the trip! Is that the mileage you expected? That was about what I averaged with my dually until I deleted it.. I was hoping for 10 but I will take 9. The LBZ only got 10-13 so it's not much difference. I will sacrifice a couple MPG for the safety. How about the comfort? Did Johnny law mess with you at all or do you have not for hire on the door? Nobody messed with us. There are law enforcement officers on the Escapees forum that recommend you don't put anything about "not for hire" on the truck. It draws attention. It makes them want to ho find out why you are not for hire. I have all my paperwork in a neat little binder. 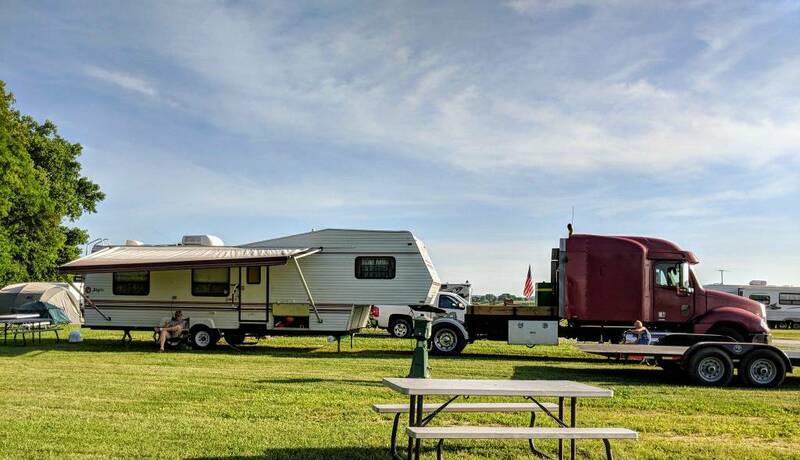 Camper and truck registration and proof of insurance. 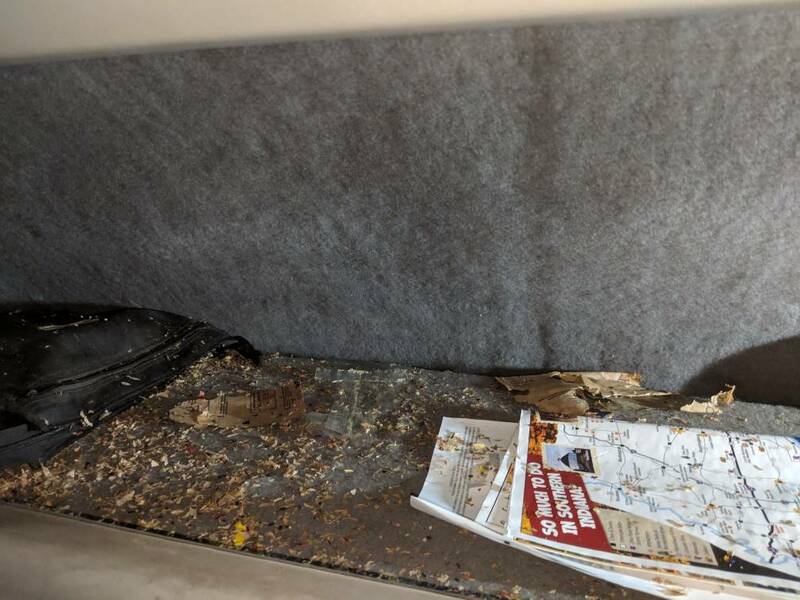 Along with a copy of the rules of what it takes to be a Motor home in the state of Nebraska. I had the DMV print out a copy for me. As for comfort it was a little more bouncy because if the air ride cab and air seat. Otherwise it was very comfortable. There is just so much more room in the truck cab than a pickup. Back to working on the truck. Making some changes and fixing a couple things. First of all I had to chase the mice out. It my fault they got in there and did the damage they did. "Someone" left some pork rinds in there and some microwave popcorn. I forgot about my stash when I cleaned it out last fall. I put new rubbers in the fuel caps because they were leaking. That didn't work so I ended up buying new fuel caps. They are spring loaded and they get weak over time. Then I had to find the oil leak. I crawled under the truck with a power washer. Did the best job I could before freezing. The next morning there was a nice streak of fresh oil running down the oil pan. These do not have your typical gasket on the oil pan. 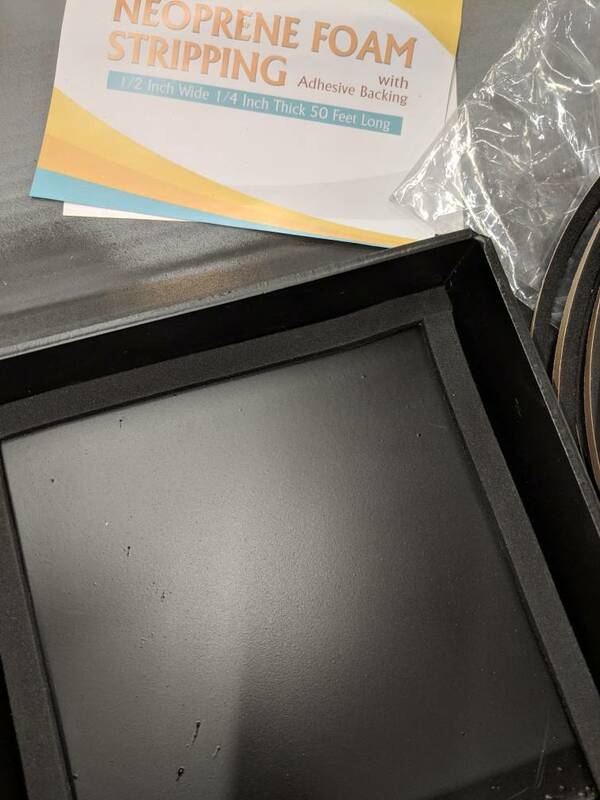 It has a rubber gasket. Like a very large O ring that fits in a groove. 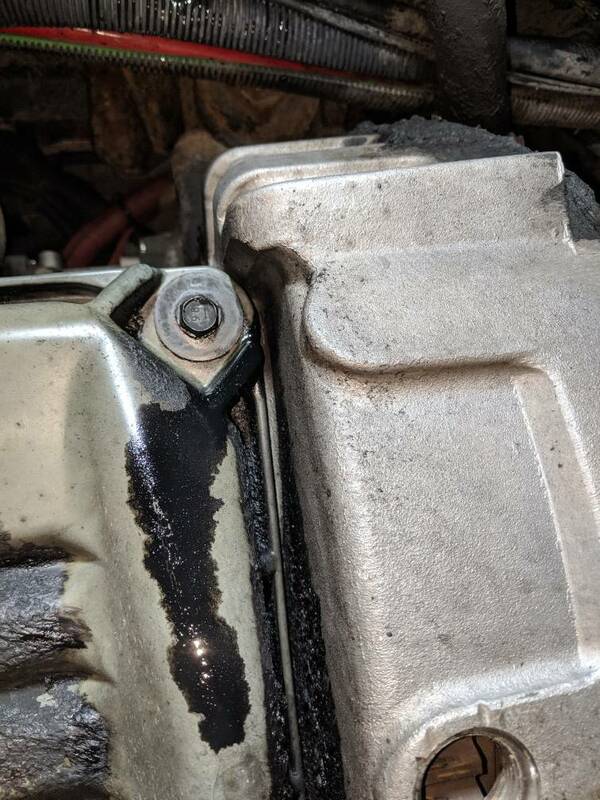 The oil pan is actually fiberglass. Parts are around $20. It's just a matter of getting it done. 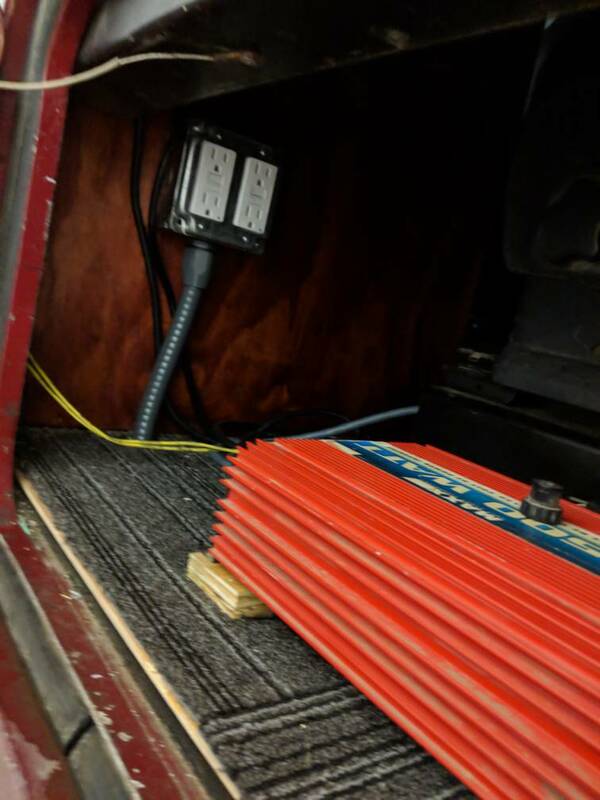 I found a spot where the heater hoses go into the block. The pipe looked awfully rusty. I was just going to change them out. 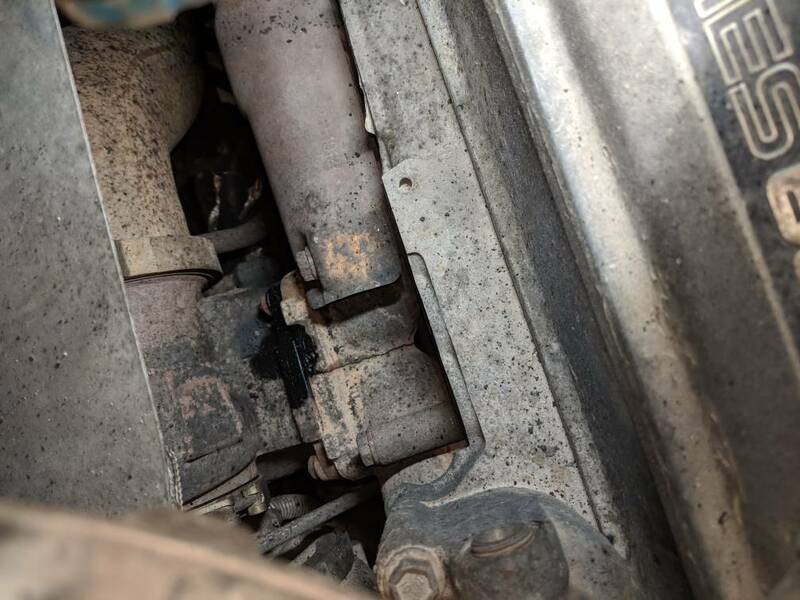 In the process of trying to figure out what I have to remove to access them I found a nice little crack in the exaust manifold. I will not be fixing that myself. I noticed that there is also a broken bolt. I will let the experts take care of that. I was wanting to take it in to run an over head anyway. That's basically a tune-up. Make sure the valves are adjusted properly and all that. When I get all that done, I want the square off the rear of frame. 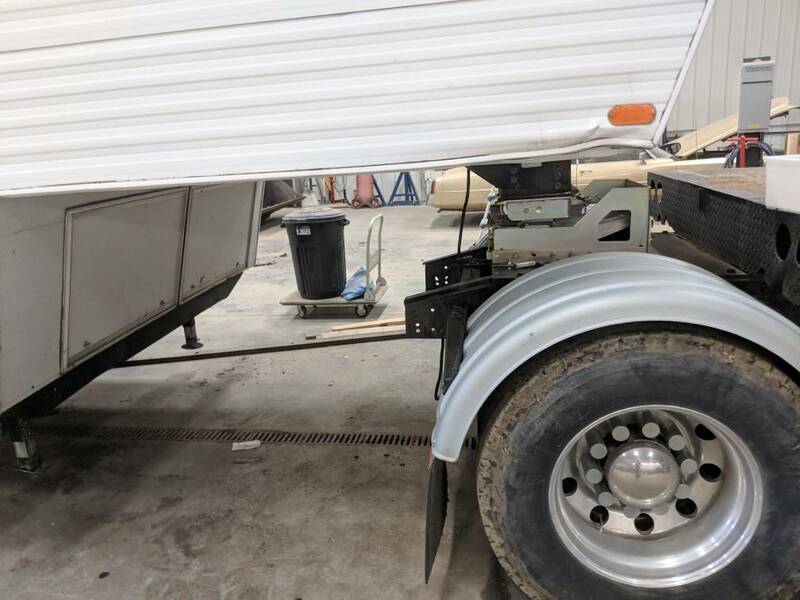 Then install a gooseneck ball and heavy duty rear bumper with receiver hitch. We leave for Caldwell Idaho second week in June so as long as the mechanical work is done by then we are in good shape. Gives you some time anyway. My batteries are bad, let them go almost dry, gen won't start and hope that's all it is. Pulled the lawn and garden battery out. 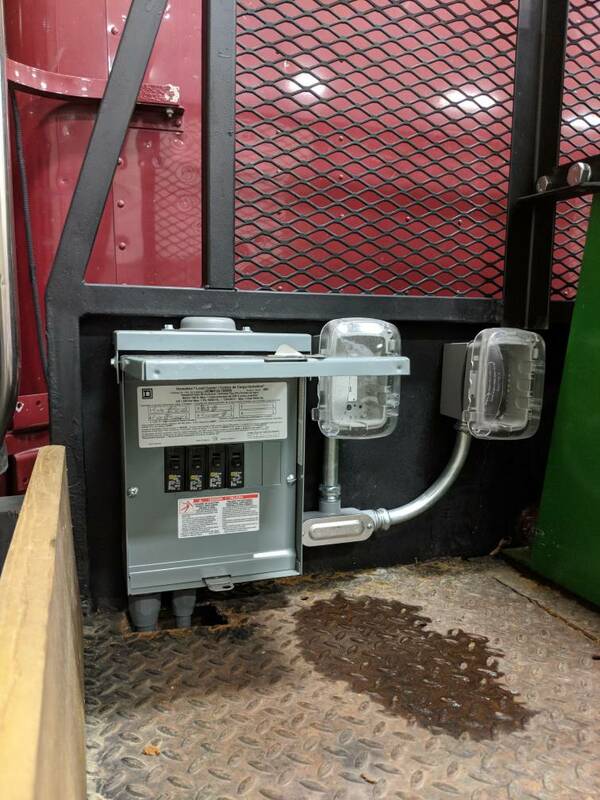 Installed a commercial battery that we had laying around. 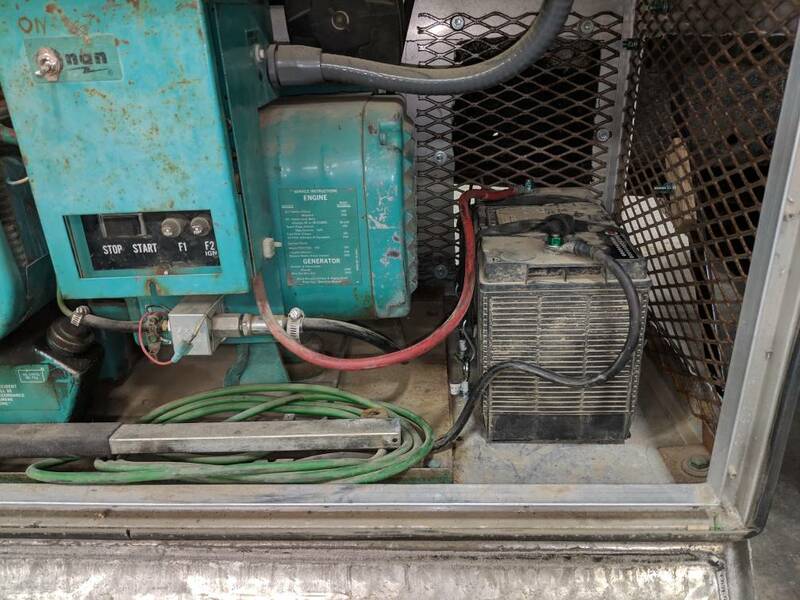 The generator use to turn over over half a dozen times before it starts. Now it pops right off. You just barely hit the button and she running. 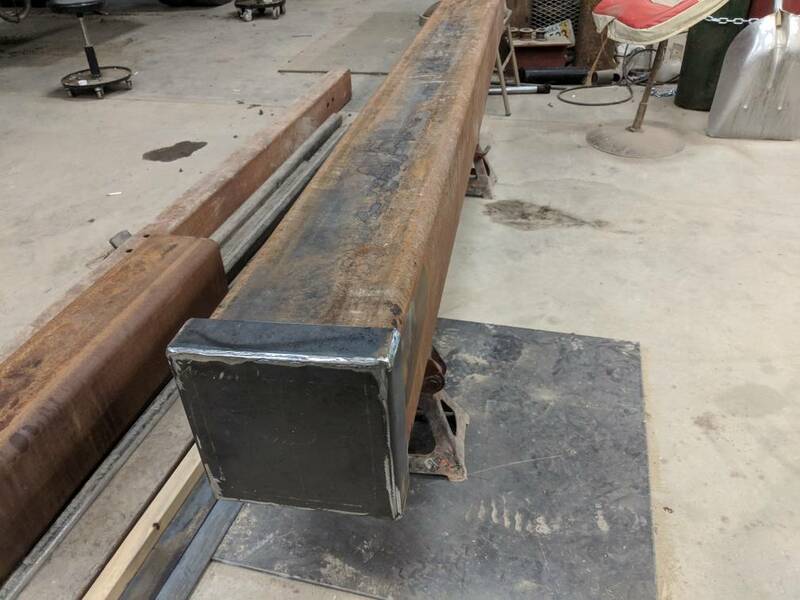 Mocking up a rear bumper. 8x8 5/16. That is not a piece of wood. Imagine it's a 6 inch 5/16 channel. Taillight will bolt to the bracket. 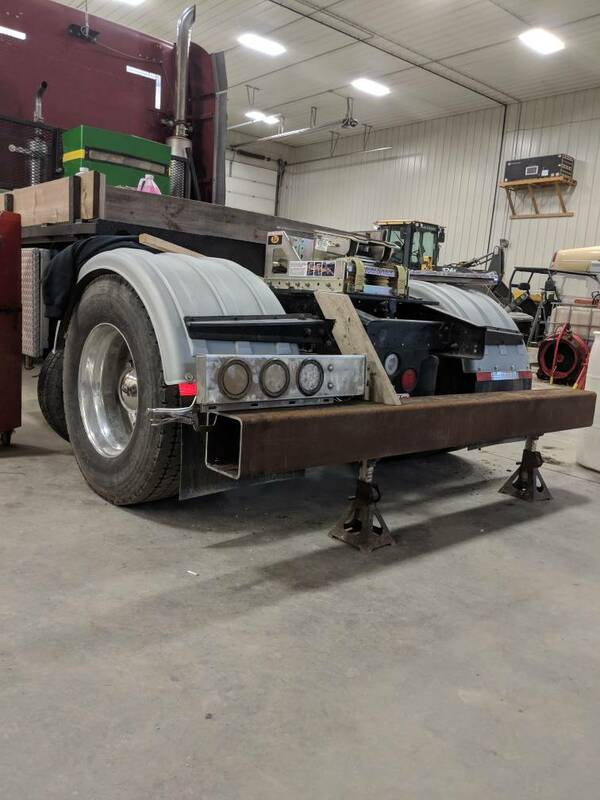 Rear of frame will be straightened out and gooseneck ball will be installed. As well as a receiver hitch on the bumper. I will fabricate end caps on the bumper and use it to store stuff in. Likely the sewer hose but who knows what I will put in there. 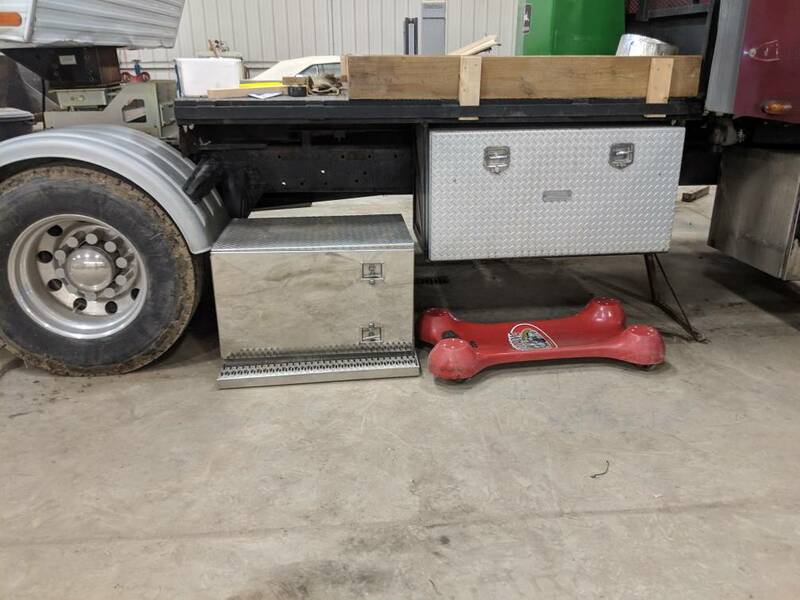 I would like to find a tool box to mount on the center section between the bumper brackets and frame rails. The sewer hose won't like the metal tube and protest with holes which will leak out the black water. I have gone to the Rhino hose that retracts and fits inside a fabric zippered container. Yes a bit more expensive than the ones that are what they are but sure is nice not having leaks after a few months of riding and rubbing inside a metal tube. Put a PVC liner in there. That reminds me I need get a 4x6x1/4 for the subs rear bumper. What’s the attachment going to be? You said storage area? Looks good Jon. What’s the method of attachment going to be? I'm not exactly sure how I'm going to hold the ends on. I'm thinking some sort of toggle clamp like this. But lower profile. With some sort of rubber gasket to make it water tight. That looks like a good idea Jon. Maybe a tab and slot on the bottom with the latch on top? I have to play with it some. 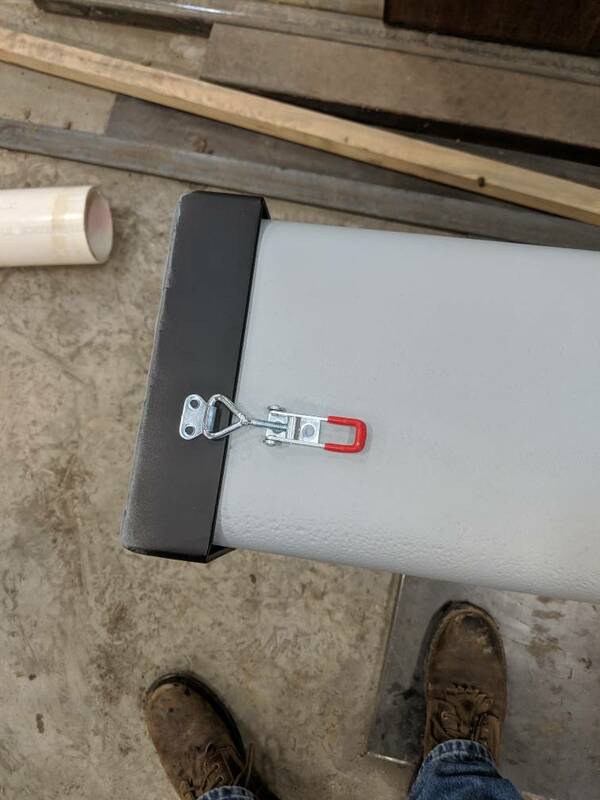 2 latches per side probably. I flat piece of rubber gasket laid down inside that pan end cap would suffice to keep water out I would believe. I am looking at using 1/4 inch thick x 1/2 wide closed cell rubber weather stripping. That way I have a little cushion to pull it tight with the clips. I believe this weather striping is going to work just fine. The clips look awfully small. Got them off Amazon. They are rated for 300 lbs and should work just fine. I just expected them to be bigger. Guess the camera is playing around, looks like it about a foot wide. Not a bad thing for a big bumper. I have the truck in the shop. The owner calls me and says the turbo is shot. Fins are pretty nicked up and leaking oil to the cold side. I anticipated it would be bad but hoped it would be fine. Add that to the list. Good news is the overhead tested out perfectly. He also said someone had been in there recently and did a bunch of work to it. Lots of new parts. So that part just cost me labor and one rubber gasket. 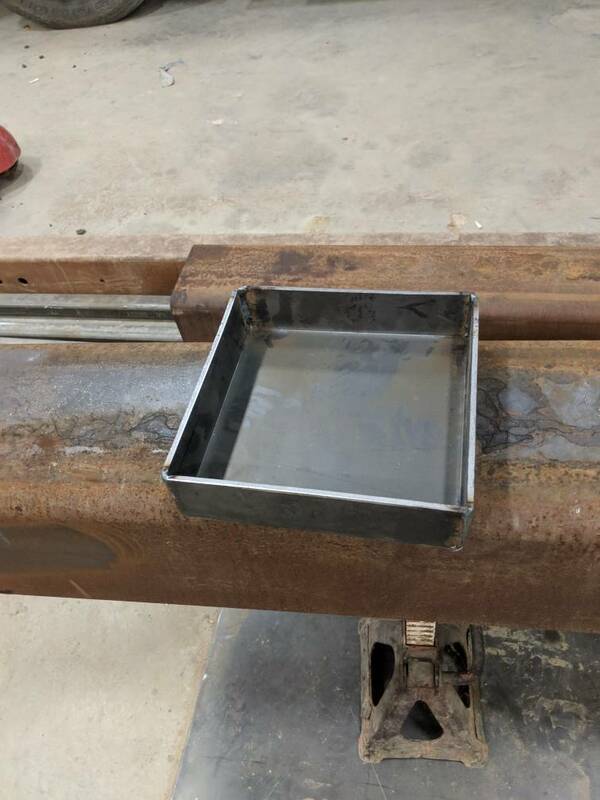 I'm just waiting for them to pull the oil pan to do that gasket. I hope the bottom end is as good as the top. Supposedly the rods and mains were done recently. Supposedly. Its not the worst I ever seen either. But the seal is also leaking oil. Just going to swap it out while everything is apart. 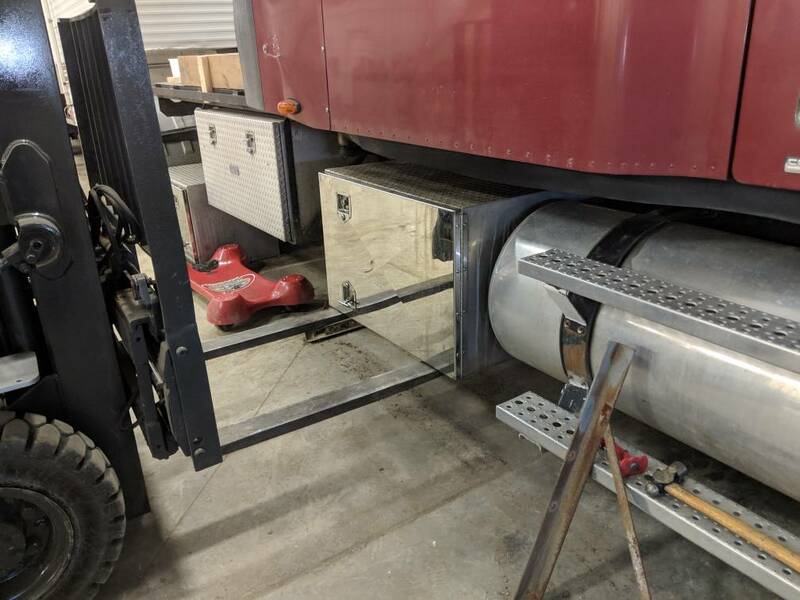 As busy as I have been trucking I have been working a little on the truck. Picked up a couple more boxes on Big Iron on line auction. I also got my pin box shortened up by 2 ft. With that long pin box I was worried about the torque put on the frame. The truck rides a little rougher than a normal pickup truck. I have plenty of room so I shortened it up. My over all legnth is now 58 ft. I had to shorten up the side boards on the bed also. I bunged up the corner of the camper last summer. Yea, I got both sides. Any thoughts about reducing the spring pack or going to bags to soften the ride? More storage is always nice. To bad about the damage. 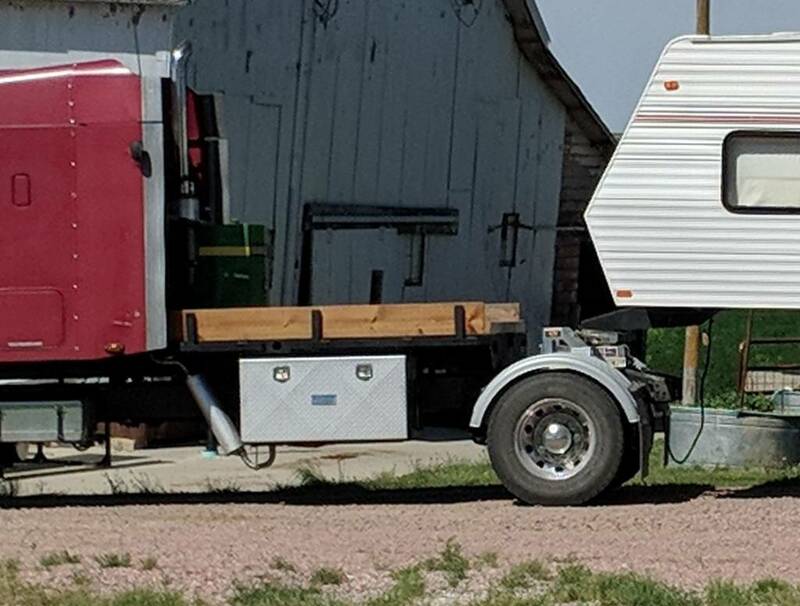 Sure the truck doesn't care about the pin with just that trailer but it does looks better. AR would be much better I bet. The problem is less air in the air bags reduce the ride height. Then that messes with drive shaft angles. There are a couple of guys working on a different kind of air bag and spring set up to make them ride better. I just aired the tires down to 80psi. That made a huge difference. It actually rides better than you would think. Once I get that heavy bumper in the back and a fresh water tank it will ride better yet. I don't know exactly how I'm going to do it but I want at least another 50 gallons. Right now I just have a plastic barrel. I have two 50 gallon RV tanks I was going to use, but shipping would be a killer. The one I went with does not require air. It rides on rubber cells. Prices are all about the same. They all perform about the same. I got the one that I thought would require less maintenance. But, will either of those address the ride of the truck? Not the truck but will make the ride for the 5th wheel much smoother.